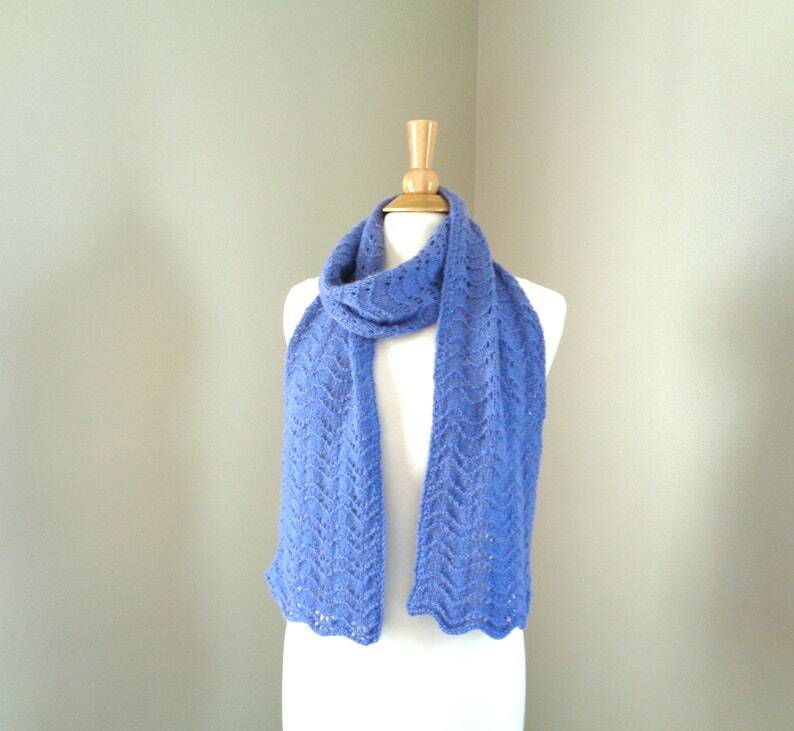 Hand knit scarf in a beautiful shade of bluebell purple or periwinkle in pure cashmere. Scarf is very soft, extremely light weight with a delicate lacy scallop pattern. At first guess you might think it was machine knit! A wonderful piece for you, or a very meaningful gift to a special someone.